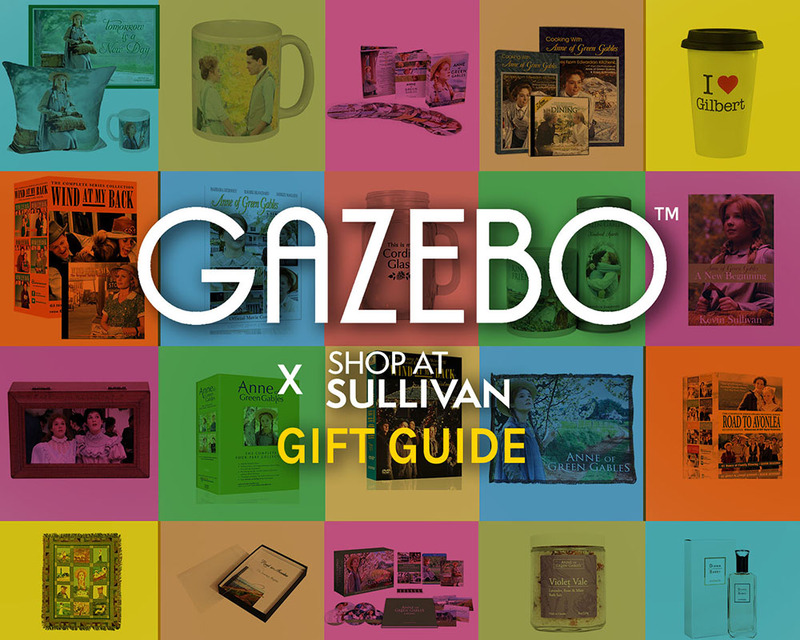 This season Shop at Sullivan and Gazebo TV have teamed up to create an awesome and helpful gift guide! Below are GazeboTV and Shop at Sullivan's favorite products this holiday season. Happy Shopping! These scrumptious teas make the perfect holiday stocking stuffer. Who doesn't love TEA! With a blend of ceylon tea, apple bits and cinnamon, we are sure that the White way of Delight Tea will become a new favorite. The Raspberry Cordial Tea is a guilt-free sweet you can share with the whole family. And Avonlea’s Summer Preserves Tea is a great way to keep summer with you all year round. Buy them individually or in a set! Enter a Willow and Thatch holiday giveaway now to win these teas for free! Enter here! Maybe you grew up watch one of Sullivan Entertainment's productions with a bossom friend, sister or realtive? Wouldn't it be a nice surprise to surprise them with the gift of that memory! Maybe you need a last minute gift? 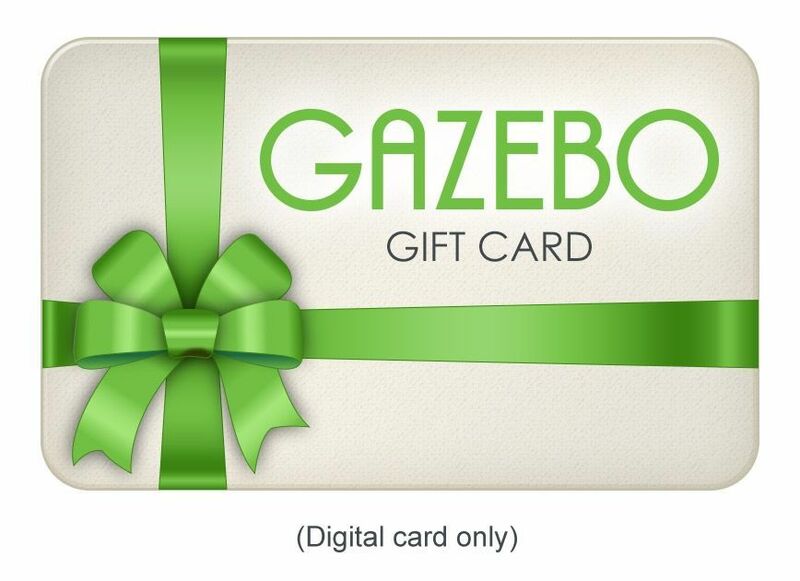 Or want to send something to a friend far away....nothing gets to your loved one faster than the digital gift of GazeboTV! GazeboTV is the perfect gift to give to connect with an old friend over classic, heartfelt period drama! 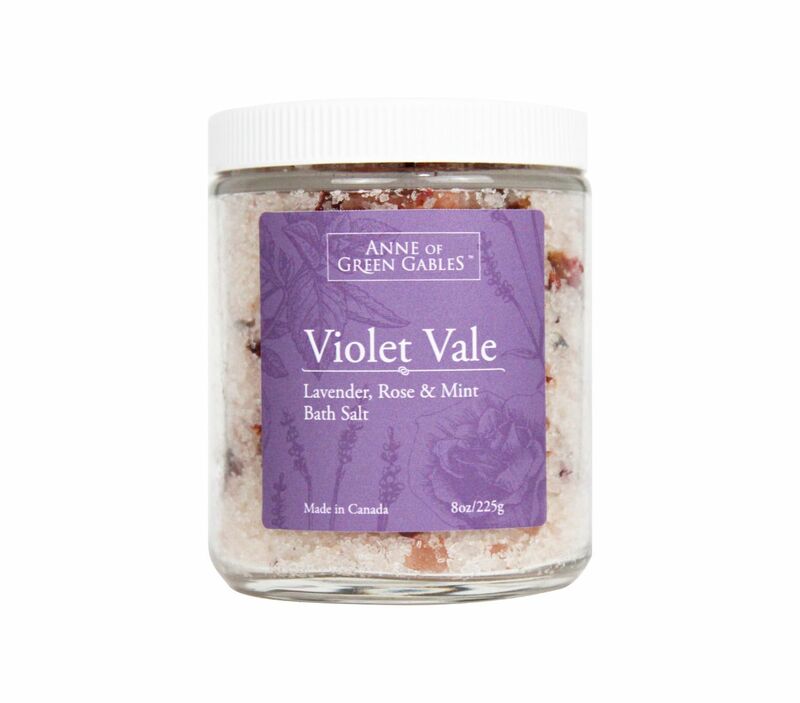 The Violet Vale Bath Soak is a unique gift for a "Kindred Spirit" that loves to relax and re-energize! Made from all natural ingredients of lavender, rose, and mint essential oils in Canada, this bath soak smells absolutely amazing and it will make your skin feel even better! The loved one you gift this to will instantly be transported to Prince Edward Island after smelling this 100% natural soak Ingredients: Himalayan Pink Salt; Dead Sea Salt; Epsom Salts; Essential Oils of: Lavender, Rose, Mint- that's it!!! Check it out below. 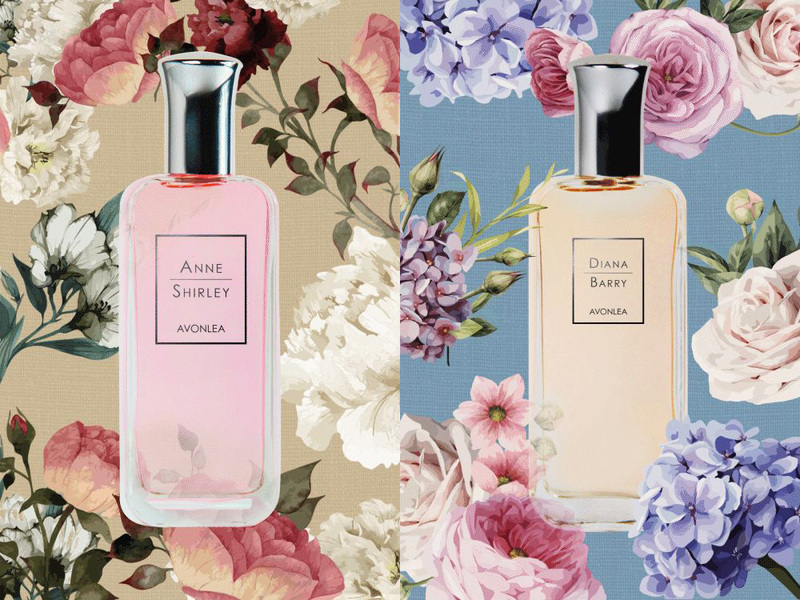 Anne Shirley’s imagination is quite extraordinary. 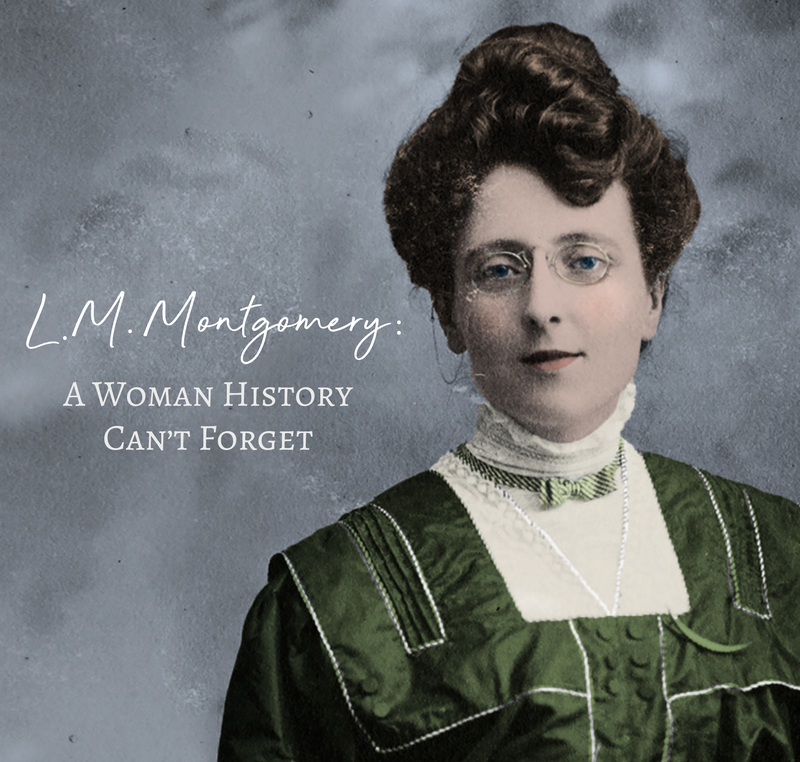 Give the gift of falling asleep and dream of fields of bursting with blossoming violets, even if, like Anne, you must only imagine they are there. 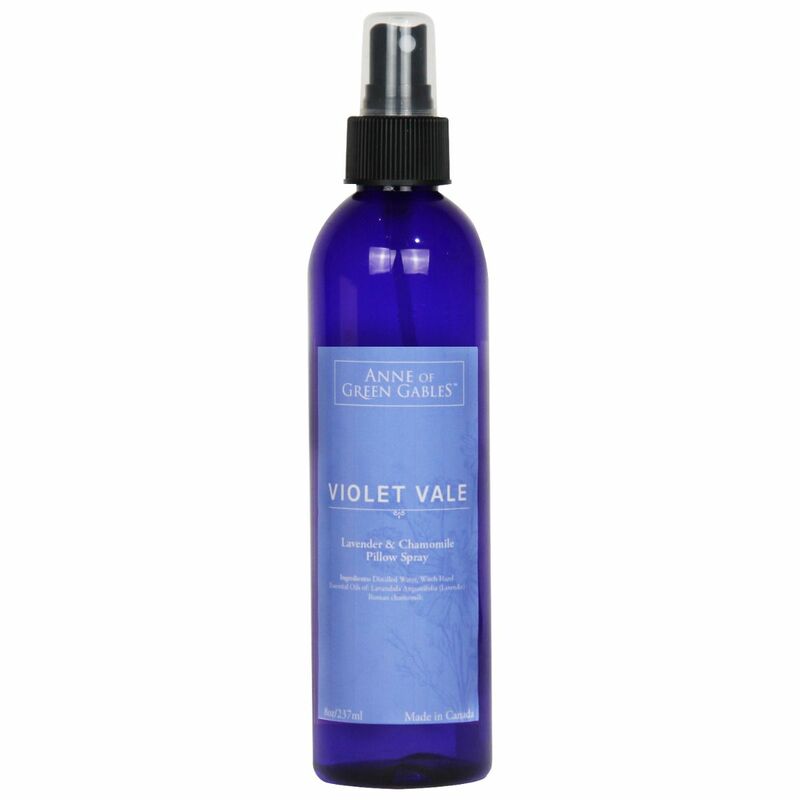 Violet Vale Pillow Mist was crafted with soft scents of Lavender and Chamomile in order to reduce stress and create calm to ensure a good night’s sleep. Breathe in the calming natural aromas tailored to you. Treat yourself every evening with the Violet Vale. See for yourself below! 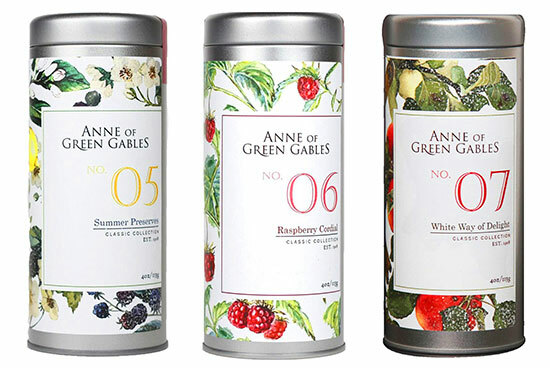 True fans of Sullivan’s Anne of Green Gables will love these soy based candles. With notes of current and thyme, The Lady of Shalott Candle is as lovely as the poem it’s named after. 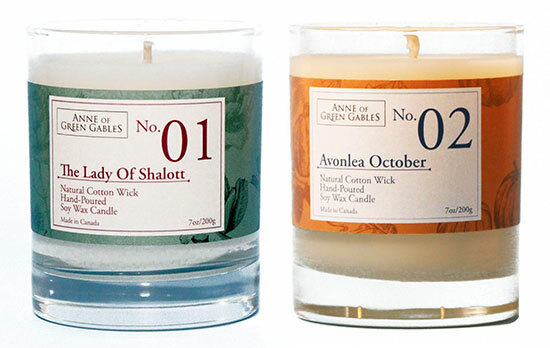 Simply light the Avonlea October Candle and transport yourself to an autumnal Avonlea. Marilla is in the kitchen baking pumpkin pie, while Matthew is tending to Green Gables, and Rachel Lynde is busy sticking her nose in other people’s business.... As L. M. Montgomery wrote, “I'm so glad I live in a world where there are Octobers.” These candles make for great stocking stuffers and truly smell amazing! 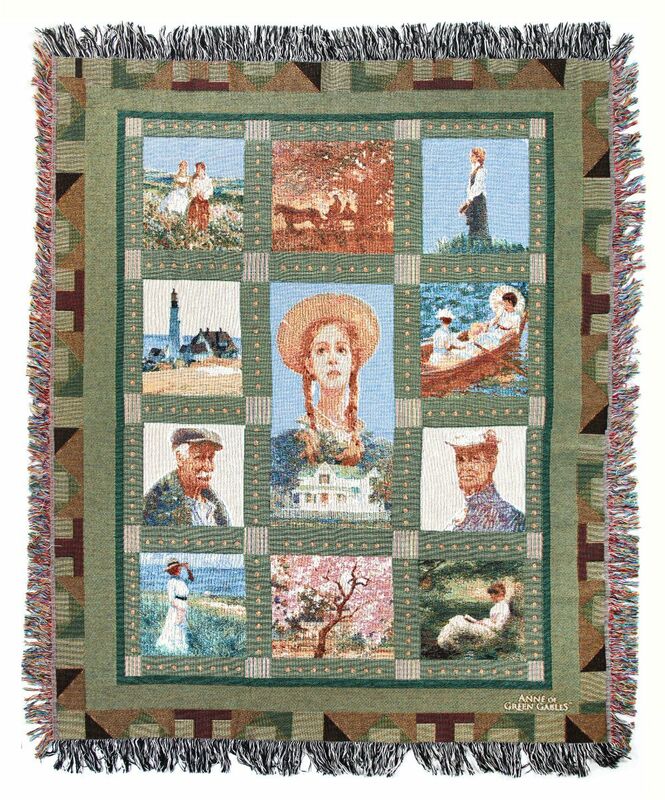 The One-of-a-kind Anne Quilt Blanket is just the thing you need to curl up, get comfortable and watch a good movie to wind down the busy Christmas day! Its a truly beautiful blanket with iconic scenes from the Anne films that are incredibly artfully done. This makes a perfect gift for an Anne fan. 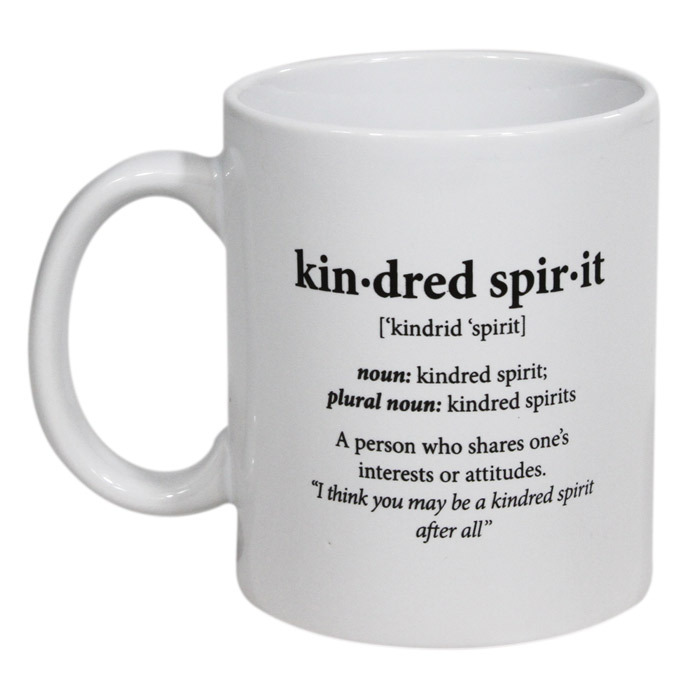 Find out what a Kindred Spirit is from Anne herself! 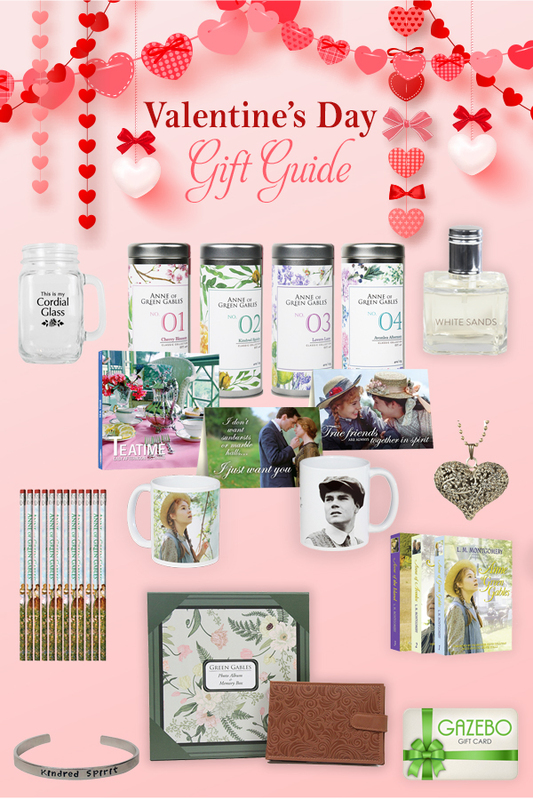 Of course our gift guide would not be complete without the ULTIMATE gift for Anne of Green Gables Fan...this Limited Edition Blu-ray box set. 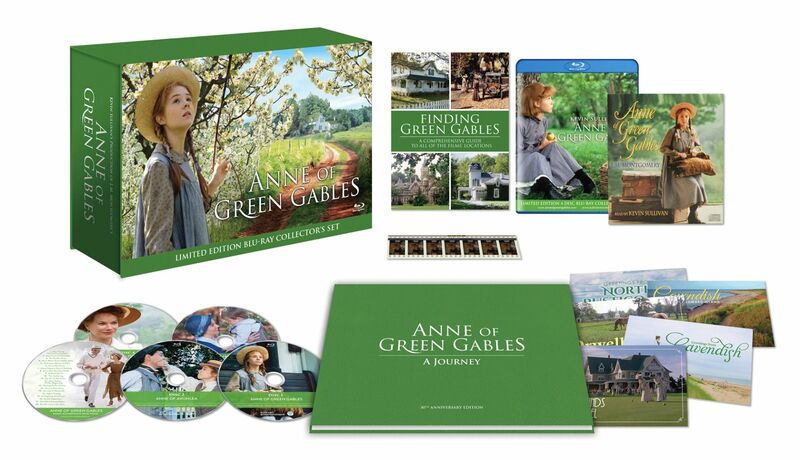 This set is a great companion to any Anne fan, even to someone who may already own the digital copy of Anne on GazeboTV. 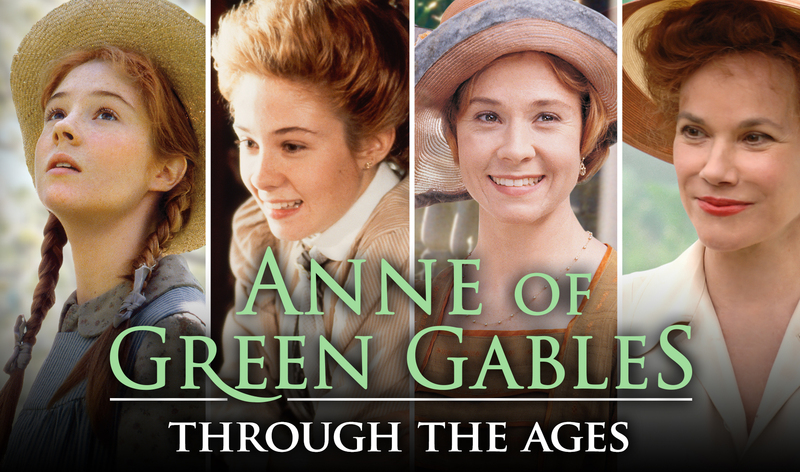 The set includes all four Anne of Green Gables films in beautiful 4K restoration; an exploration of the films most beautiful backdrops with the visual guide to filming locations, behind the scenes information never revealed. See for yourself below! If you have any questions about GazeboTV please email info@gazebotv.com or email inquire@sullivan-ent.com for any questions related to Shop at Sullivan! We're wishing everyone a happy and healthy holiday season!